There are alot of figures out there regarding how many traders make money and how many traders lose money. The most common seems to be that 90% of traders lose money, and only 10% of traders are consistently profitable. So what is it that these 10% are doing that put them in this league. And as important, is the question, what is it that the majority are doing that is causing them to to be consistently losing traders. Well this is quite a deep subject, but in this article I am going to provide you with 10 forex tips that if you understand and start applying in your trading, it will help you to get on the right path in your journey to trading profitability and get you closer to joining the 10%ers. One of the first things you must do as a trader is to understand what your goals are in trading. Most new forex traders come into the market, thinking that they know, but most really do not have a plan or any concrete goals. Only after you have set some goals for yourself, then you can start looking at various trading methods that will help you achieve these goals. Keep in mind, you must aim to be realistic in your expectations, and ensure that the trading methodology that you choose fits your personality profile. There are many questions that you must answer for yourself. Do I feel comfortable holding positions overnight? How much risk am I willing to assume for each trade? Am I more comfortable trading with the trend or countertrend? How much time will I have to devote to watching the markets? Will I trade to supplement my current income or do I plan on trading full time? These are just some of the things that you need to decide on before you start. Once you have an idea of what your trading goals are and what type of trading will best suit you, then you must work on creating a detailed trading plan that you can use to systemically trade the markets so that the process of trading become effortless. Regardless of whether you are a Daytrader, Swing Trader, or Long Term Position Trader, you should always try to take a top down approach to trading the markets. What this means simply is that you start with a higher time frame chart and zoom down from there to your trading time frame chart. This will help give you a wider lens from which view price action. Many traders make the mistake of making trading decisions based solely on the time frame in which they are trading, meaning the signal time frame. For example, if they see a hammer candlestick pattern on a 4 hour chart, they take the trade off that time frame without even considering what might be going on in the next higher time frame, which would be the daily chart in this example. In addition, a trader who would like to trade that hammer signal that showed up on the 240 minute chart could zoom down to the 60 minute chart to get a better trade entry. In order to increase the probability of having a winning trade, its always wise to analyze multiple time frames. What often happens is that you are able to either filter out bad trades based on higher time frame chart analysis or get further confirmation on your trade. Either way, you will likely increase your chances of a winning trade by taking a Top down analysis approach. As traders, our job is to find high probability setups and execute on them without letting our emotions get in the way. That is really it. But to get here, you have understand that trading is all about risk control and knowing the probabilities. And it is only thru thorough testing and validation of our forex trading strategies, can we be confident in trading and sticking with it over the long haul. Just like any good Poker Player knows their probability of winning a hand, we must know what the probabilities are for any given trade within our trading setups arsenal. So how do we go about this? Well plain and simple, we have to do the necessary testing of our strategy on historical data. We can achieve our testing goals either thru a backtesting software if you are using a trading system wherein the parameters are straightforward and can be inputted and tested. On the other hand, if you are a discretionary forex trader, then you can accomplish the backtesting thru a manual process. You have to go back in time thru the price history applying the strategy, and making a manual log of winning and losing trades, and the corresponding amounts. You may have heard the saying. Plan your trade, and trade your plan. It seems almost too obvious to mention, but this is one of the most important trading tips to keep in mind if you would like to trade forex like a Pro does. And the reality is that most traders either don’t have a trading plan or else if they do, they typically do not stick to it. 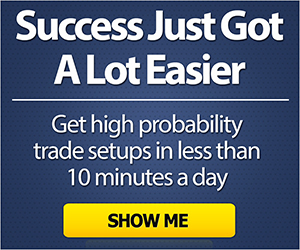 You may be wondering why you need a trading plan in the first place? Well, I have to say, forex trading doesn’t have to be complex, and you certainly do not need to have a Phd in math or economics to be a successful trader. But having a trading plan, that outlines all the fine details that go along with your trading strategy is essential in keeping you focused and accountable. But it doesn’t stop there. Once you have a detailed trading plan, then you must in conjunction with this, keep a trading journal of all trades taken and the corresponding results of those trades. I suggest you keep a printed record of all your trades. Try to print out the chart and make notes of what you were thinking when you initiated the trade, and where your entry and exit points were. Make any other pertinent notes as well. This will help you to better understand your thought process and ultimately you will become your own trading coach by improving the processes behind your trading. As traders we must hone our strategy and learn to become more disciplined with our execution. A detailed trading plan and frequently updated trading journal is a must if we want to accomplish this. Alot of new traders come into the forex market because they are drawn to the excitement of currency trading. They typically have this image in their heads of a Daytrader glued to a multi monitor computer screen, taking dozens of trades per day. While, day trading can be fast paced and exciting, the truth of the matter, is that the real profits are made by trading the higher timeframes rather than the small timeframes such as the 1 minute or 5 minute charts that daytraders typically rely on. If there is just one thing that any trader can do to improve their trading without much additional efforts, its switching from trading the lower timeframes to the higher ones. Day trading poses many obstacles to the retail trader, and the transactions costs association with daytrading makes it an uphill battle at best. There seems to be widespread misconception when it comes to what works and what doesn’t in the markets. One of those huge misconceptions is the idea that the more you trade, the more money you will make. This could not be further from the truth, and in fact, in most cases you will find that the less you trade the more money you will likely make in your forex trading. 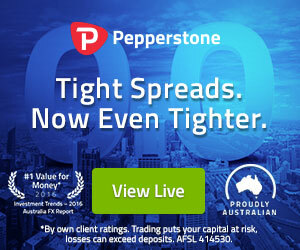 The higher timeframes such as the 240 minute, 480 minute, and daily charts provide much higher probability trade setups than do the lower timeframes, and your transaction costs which are a combination of bid/ask spreads, slippage, and commissions, will be much less as a percentage of your avg profit per trade. Most traders fail to recognize this fact, to their own detriment. Trading on the higher timeframes provides the trader with more time to pick the best setups, and at the same times does not require you to be glued to your computer screen all day long. As a forex trader you soon realize that the use of indicators in trading is sometimes counterproductive. Most profitable traders will tell you that the best indicator is price, and that every other indicator on your price chart is a derivative of price itself. And in the trading world, where getting in before everyone else does is often the difference between a profitable or losing trade, then I would contend, that we must try as much as possible to trade using naked price charts and study price action from our charts. Trading does not have to be complicated. If you can learn to read price action and understand the basis of price movement thru supply and demand imbalances, you will be well ahead of 90% of forex traders out there. But if you are one of those traders that must have their favorite indicators on the charts, then I would suggest that you narrow it down to just 1 or maximum 2 indicators that you can use and rely on for confirmation. Anything more than 2 trading indicators on your chart, and you are really just making the trading process more distracting that it needs to be. Hopefully, at some point in your trading journey, you will be able to concentrate on price action alone, using basic support resistance zones and supply and demand levels. I think you will find that this will not only help simplify your trading, but also serve you better from the overall profitability standpoint. Understanding Support and Resistance is one of the essential concepts in trading. Support and Resistance is defined as key price levels where both buyers and sellers have expressed interest and traded enough volume that it has caused prices to halt or stop and reverse creating an important swing level. A trader would use these levels to gauge future price levels wherein buyers and sellers will likely enter the market in the future. Horizontal price lines can be drawn where price has traded and reversed to create an important Support or resistance zone that should be watched closely. It should also be noted that the higher the time frame on which a key support or resistance level forms, the more reliable it is. For example, a Support level formed on a daily chart is much more credible than one that is formed on a 30 minute chart. Higher time frame support and resistance levels are those that have formed over a much longer time period, and surely has more participation during its formation. In addition most large players in the markets, those that can move prices, such as hedge funds, and other institutions, tend to watch Support and Resistance levels formed on the Daily charts for example, much more closely than they would on smaller intraday timeframes. S/R levels can be helpful in both trade entry and trade management. For example, if you are bullish on a particular forex pair, then you could initiate a long position as price approaches a support level or if you were looking for an opportune time to exit a short position, then you could use the Support zone in our example, as a target as well. Scheduled news events tend to create increased volatility in the currency markets, so it is important for a forex trader to monitor scheduled news events and important releases for the currencies that they are trading. There are many online resources where you can find an Economic Calendar to stay informed around these events. Though it is very hard to make consistent profits trading news events themselves, nevertheless, knowing when important news is coming out, can be very important for the technical trader. For example, if we know that Non Farm Payroll is scheduled for tomorrow, we can wait until after the announcement before initiating any new trades. On the other hand, if we are currently in a position, we may consider either taking a portion or the full position off due the to higher than normal expected volatility around these events. These are things that a forex trader must think about regularly. We cannot trade in a vacuum without knowing about potential impacts that can adversely effect our positions. The primary task of a Forex Trader is Risk management and the number one goal is capital preservation. And so we must act as responsible risk managers, and the one way that can reduce our risk exposure is by limiting our position size around highly volatile periods, which can cause extreme price movements and price spikes. Here’s a Forex Trading lesson that every newbie should pay close attention to. Many new traders are consumed with trying to find the ultimate trading indicator, the one that will finally put them over the top. The problem is that this is a futile search. Sooner or later this fact will become evident to those searching for the holy grail. Let me tell you what the best trading indicator that is available to us as traders. It is price. That’s right Price. Pure Price action beats any combination of RSI, Stochastic, MACD, or whatever. The reason is all of these indicators are computed from Price itself. So what’s the point of having a middleman, which is basically what indicators really are. Focus primarily on price action and you will begin to see things much more clearly. There is no doubt about this. Think about it, computers have not been around that long, maybe for 50 years or so, but the financial markets have been around for hundreds of years. Back then traders used to read the tape on the exchanges, and they would study how price was moving to gauge the overall direction of the market. Though Tape Reading seems to be a lost art these days, this method can easily be incorporated thru reading price action on the charts. There is no need to complicate your trading, as trading is quite simple, and price action trading in forex provides the trader with a logical methodology with which to approach the market. There is a lot of distractions for the newbie forex trader to deal with. Not the least of which is the countless number of people giving bad advice when it comes to what works and what doesn’t in the realm of financial speculation. You know what I mean. How many times have you seen a claim about a forex strategy or system that supposedly makes $ 100 or $ 200 or even $ 1000 a day in the markets on autopilot while you are sleeping or relaxing at the beach or golf course. It’s down right ridiculous if you really step back and think about it. But I guess these snake oil type salesman have enough willing buyers that is just keeps on coming. I am here to tell you, that yes, there is money to be made in the forex market, and quite alot of it, if you do it right and control your risk. But it’s not what you think. Most professional traders aren’t looking to make 100% or 200% returns a year. Can it be done? Absolutely, but there is a catch. Are you willing to drawdown 40% or 50% or even 75% of your account to reach that end? Before you answer, I will answer it for you. No you are not prepared to assume that type of drawdown. And so, the point is absolute returns are meaningless without first considering the risk part of the equation. Set realistic trading goals for yourself, otherwise, you are simply setting yourself up for failure. So we come to the end of the Top 10 Forex Trading tips and what have we learned from these lessons? Hopefully each of you will be able to take some of this information and apply it in your own trading. These forex trading tips should be a starting point from which you build your own assumptions about the market and how to incorporate a trading plan that works for you. What may be right for one person may not be right for another. Create your own logical trading processes so that you can improve each and every day as a trader.